What is this PSIM? Who is Inner Range? 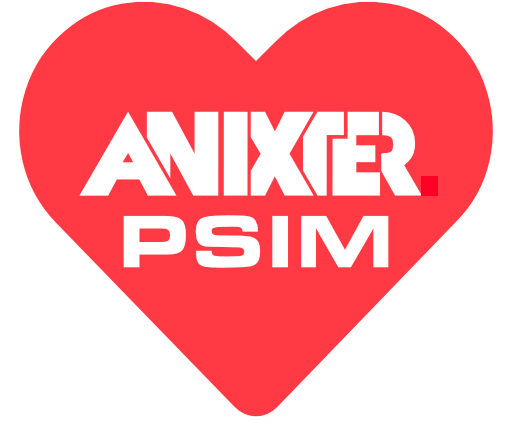 And how competitive will Anixter be with PSIM at the heart of their technology differentiation? Inside, we answer these questions. definitive agreements to acquire security businesses in Australia and New Zealand for ~$151 million ... Combined, these businesses had trailing 12-month sales of USD ~$114 million and adjusted EBITDA of approximately USD ~$20 million. IPVM has confirmed that these businesses are access control / 'PSIM' manufacturer Inner Range, Australia's Central Security Distribution (CSD) and New Zealand's Atlas Gentec. Inner Range & Central Security Distribution ownership share re-structure. The Group announced today that a 50% shareholding has now been acquired by a coalition of three senior management staff and New Zealand Company Atlas Gentech. As such, we believe the businesses were acquired as a set. Anixter was not a major distributor in Australasia and now is. CSD and Atlas Gentec are large distributors in their respective countries, setting up Anixter to be a major player in a region where they had not been. It has been nearly 4 years since the 2014 Anixter acquisition of Tri-Ed. Tri-Ed's revenue then was 5x that of CSD/Atlas/Inner Range is now. However, the later was much more profitable with an EBITDA margin (~18%) nearly 3x of Tri-Ed's 6% at the time of their acquisition. Inner Range, which describes itself as "Designers & Manufacturers of Access Control & Security Systems", is globally a smaller player but fairly strong in their home region of Australasia. In terms of management software, 'Integriti' is sold in three versions with the most basic 'access only' supporting a single controller (to 16 doors) with no 3rd party integrations, up to the 'Professional' version with no door count restrictions. System integration modules are available for many western premium brands, including VMS integrations with Exacq, Milestone, Bosch, Pelco, March Networks, and Genetec. The platform also supports over 40 additional integration categories to elevator controls, intercoms, lighting/HVAC, fire alarms, and visitor management systems, among others. In general, the various integrations and scaling claims of the system are comparable to enterprise-grade, large-scale access platforms. Unlike many North American access platforms, Inner Range panels include integrated intrusion alarm systems (up to 250 areas) with integrated dialers or communicators supporting most major monitoring formats. Rather than installing and integrating a 3rd party system into the access platform, Inner Range claims this functionality integrated by default. 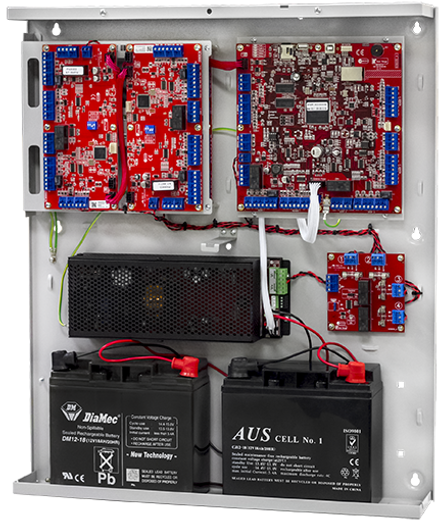 The image to the side shows a typical Inner Range enclosure can built out to support alarm, access control, communicators, and power management/backup batteries. While Inner Range does not call themselves PSIM (and who can blame them given how bad PSIM has done as a business), given their access and security capabilities plus video integration, they could be considered PSIM, at least loosely. But the true PSIM market is quite small, with players like CNL and Vidsys, tiny by even security manufacturer standards. However, the upside is that if Anixter wants to scale Inner Range's offering 'across the organization', as Anixter's CEO said, there clearly is a lot of growth potential as Inner Range has limited reach in the Western world whereas Anixter is quite large in North America. This would not be in PSIM sales but more conventional access control / security management. Anixter is infamous for competing against their integrator customers (e.g., Does Anixter Sell Direct To End Users? YES, Anixter / Bosch Sells Direct to Amazon, Anixter Touts Selling to End Users, etc.). If they truly put Inner Range at the 'heart of their technological differentiation', they will be competing against their manufacturing partners too. If Anixter really follows through with their PSIM / 'heart' plan, they will not be the first in this position. For example, ADI itself was formed to distribute Ademco products (i.e., Ademco Distribution Inc.) and Honeywell, the manufacturer, owns ADI, the distributor (though, with the ADI spin-out, that is changing and, e.g., Honeywell access control will be part of a separate company than ADI soon). And, of course, CSD and Inner Range have owned and distributed Inner Range for years. However, that was primarily done in a single geographic region where it was likely easier to provide support. This could be more challenging for Anixter if they genuinely start selling (and thereby supporting it) globally. This is definitely a risk. Whether it works out remains to be seen. Comments (22) : PRO Members only. Login. or Join.